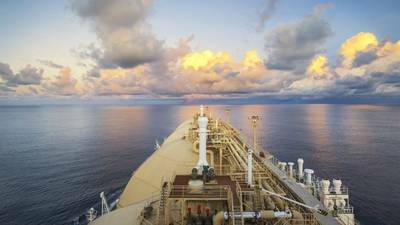 Currently, the liquefied natural gas (LNG)-powered fleet has grown globally from 118 LNG-powered vessels in operation in 2017, to 143 LNG-powered vessels in operation – with a further 135 on order and 135 LNG-ready ships either in operation or on order. According to the LNG bunkering coalition SEA\LNG, Orders for LNG-powered vessels span a variety of vessel types including tankers, cruise ships, container ships, car carriers, and Very Large Ore Carriers (VLOC)s.
A press note issued by Peter Keller, SEA\LNG Chairman revealed that in 2018, new LNG-fuelled vessels included ESL shipping’s delivery of its second LNG-fuelled 25,000 DWT bulker Haaga and Crowley’s combination container/roll on-roll off (ConRo) El Coquí. Sovcomflot’s Gagarin Prospect delivered its first cargo shipment, one of six LNG-fuelled Aframax tankers the company expects to have in operation by the summer of this year. Containerships took delivery of its first LNG-fuelled 1400TEU container vessel Containerships Nord and AG Ems shipping group announced its third LNG ferry retrofit with the RoRo passenger ferry Munsterland. By March, of the 94 cruise ships on the global order-book, 18 under construction were LNG-powered. This represented 20% of all newbuildings for the cruise industry, but 25% of newbuilding capacity due to the size of the vessels ordered. The world’s first fully LNG-fuelled cruise ship, SEA\LNG member Carnival’s AIDAnova entered service in December with a further seven LNG-powered cruise ships ordered by Carnival to be operational by end 2022.